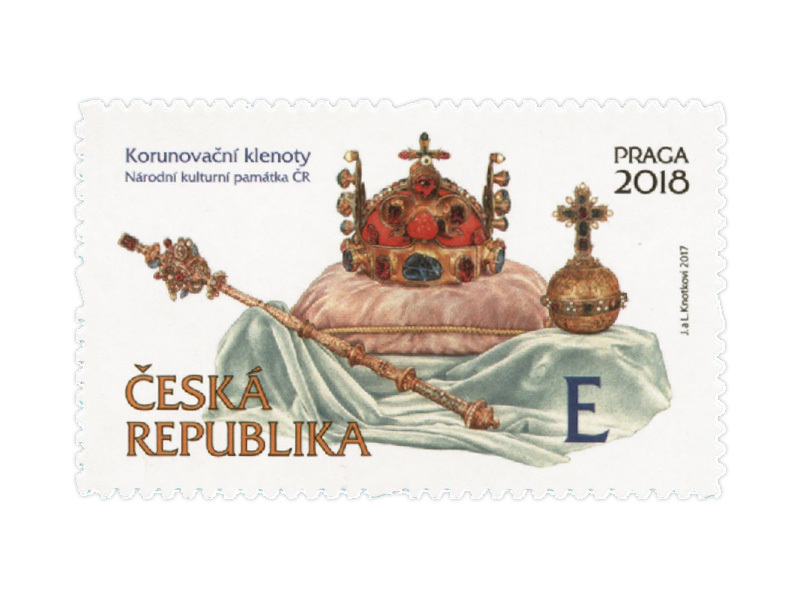 The crown of Saint Wenceslas created in 1346 on Charles IV’s request was modelled on the no longer used 13th century Premyslid crown and the former French crown of Saint Louis. It is made of pure gold, weighs 2.5 kg and is set in diamonds and pearls. The gold Royal orb was made by an unknown Rudolphine goldsmith in the late 16th century. The gold Royal sceptre dates back to Maximilian II’s Renaissance era of the second half of the 16th century.